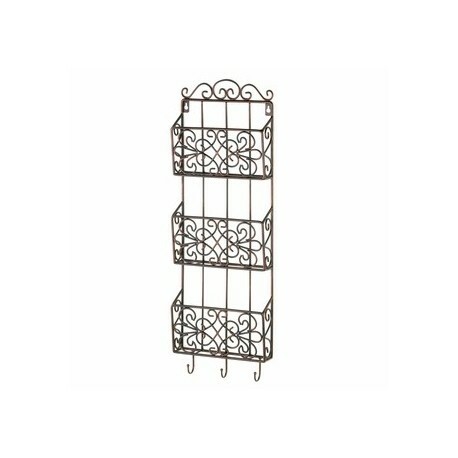 Organize your mail, magazines and more with this gorgeous decorative wall rack. 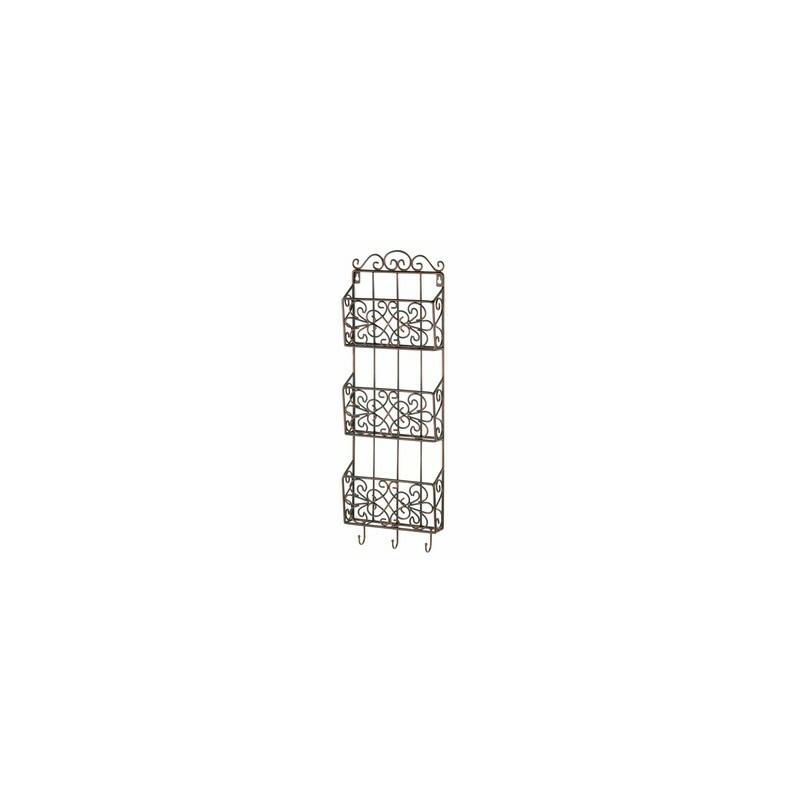 It features three pretty bins for your important papers, and below three hooks await your car keys, light accessories and more.10" x 2" x 29" high. Iron.